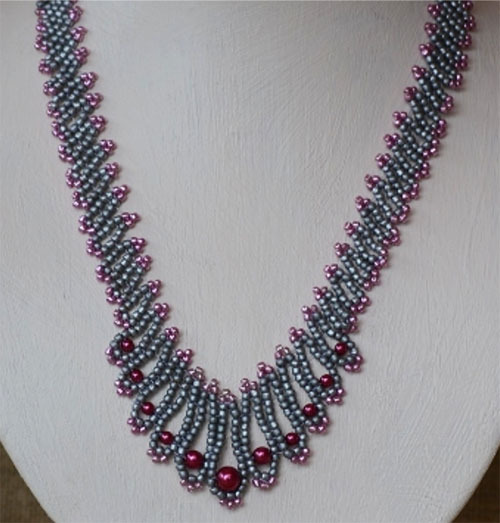 This pattern repeats a basic unit with a varying number of beads and size pearls. The units are joined with the principal of a St Petersburg stitch. It is a breeze and looks lovely on.